Asha Karma has devoted his time to promoting contemporary art ever since VAST came into being in 1998. The studio started with just 80 members. It now boasts of more than 10,000 members and volunteers, and a vast majority of them are youths. VAST thinks the growing popularity of contemporary art has got a lot to do with the youth nowadays who have a better understanding of art and its value. Contemporary art means different things for different people. Some learn the art to make a living out of it and others to explore their inner self. For Yeshey Choden, it’s all about self-expression. “Creating your own art gives you pleasure. It makes you happy and that’s what hooks me,” she said. Contemporary art has no doubt come a long way, but it is not without challenges. Lack of an art institution and family support, and budget constraints are some of the challenges that both VAST and artists are confronted with. 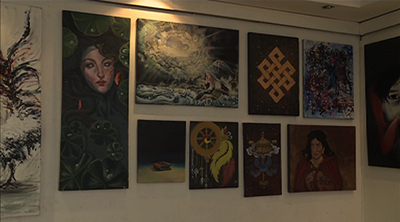 “Their parents do not allow them to pursue their interest and passion in art,” Asha Karma said. VAST has been offering scholarships to aspiring Bhutanese artists to study in art colleges in India, Bangladesh and Pakistan since 2003. 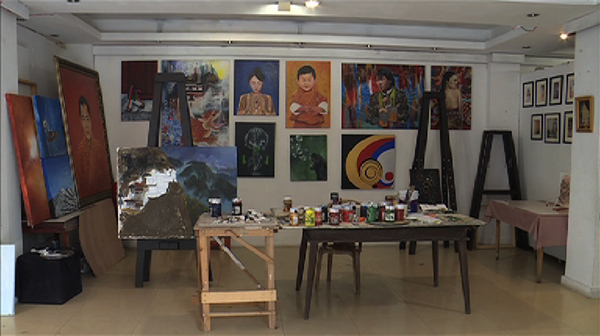 About 30 youths have studied contemporary art under the VAST scholarship so far.